N62 V3 is the next generation of this popular all-round kite. Dedicated to beginners and intermediate riders, this kite is designed for advancing your skills no matter what your riding style is. Equipped with the newest aerodynamic solutions, the N62 V3.0 features superb relaunch, easy power control and direct handling, combined with super stability. 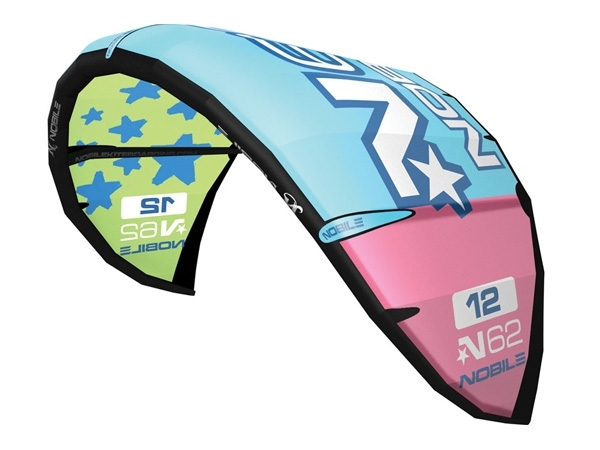 Perfect balance and advanced safety solutions makes the N62 V3.0 an ideal kite for progression. If the kite does get wet, the effective relaunch system will have it back up in the air with the minimum of rider technique or effort.